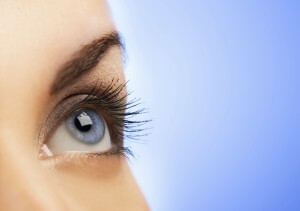 The upper eyelid is a common area showing premature facial aging including thin, hanging skin and bulging fat pockets. The upper eyelid is a focus of cosmetic correction through an upper eyelid blepharoplasty, which can remove excess skin and fat through an upper eyelid incision. The upper eyelid can be an easy point of cosmetic focus, but often does not deliver an effective result as a “stand alone” procedure, especially when done as a “stand alone” procedure in the female patient. This is mainly do to unaddressed brow dynamics in the upper face. Long upper eyelid incisions, which are a sign of excess outer skin attempted to be removed through an eyelid incision rather than performing a combination brow lift. Upper eyelid blepharoplasty can have increased satisfaction in a male patient because of the acceptance of a lower brow position. A browpexy procedure can be performed to help secure the outer brow position through the upper eyelid in the male patient. The reasons why an upper eyelid blepharoplasty can fail in the female patient is that typically there are two other issues at hand: either laxity and descent of the brow (pseudo-ptosis) or a droopy upper eyelid (ptosis). The upper eyelid excess skin can obstruct vision and the body’s natural reflex is to lift the brow to help get the excess skin out of the way. The compensatory brow elevation signified by deep forehead creases, relaxes after the obstructing upper eyelid skin has been removed. This triggers a compensatory descent and relaxation of the brow with worsening of the upper eyelid and brow aesthetics. This can be alleviated in a male through a brow pexy or sulcoplasty because browlifts in men often feminize the upper face. In women, a brow lift at the time of the upper eyelid blepharoplasty can help to secure the brow position and reshape the brow. Upper eyelid ptosis or a droopy eyelid may also go undetected at the time of upper eyelid evaluation and if not corrected can be a cause of post-operative drooping and dissatisfaction. Correction of upper eyelid ptosis can be performed at the time of an upper eyelid blepharoplasty and can help to improve the upper eyelid position giving a more awake and open eye shape. Andrew P. Trussler MD is an experienced plastic surgeon in Austin Texas with advanced training in facial aesthetics including eyelid surgery including secondary correction of upper eyelid malposition, including brow lifts and ptosis repairs. Dr. Trussler’s Austin plastic surgery office can help guide you in correcting commonly seen upper eyelid aging complaints. An upper eyelid blepharoplasty with a brow lift can help your eyelids not only look better, but function better.